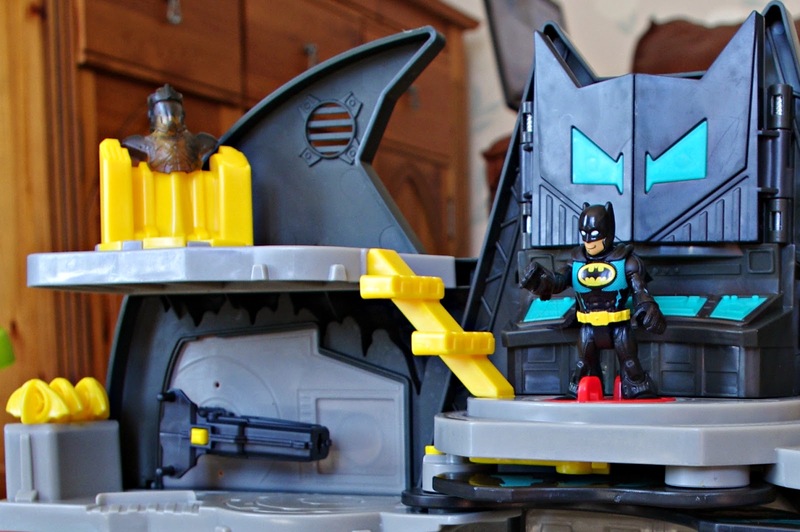 Which super-hero inspired child wouldn't love to find the Batman Imaginext Batcave in their home? At 3 and a half years old Tom & Seb are just leaping into this world. Already fans of Spiderman and Iron Man, I couldn't wait to introduce them to Batman (I just want to have someone to watch the films with again one day!). When it arrive, Mr J was impressed, always the cynic when it comes to toys I could tell he was itching to test it out. I set it up ready for the boys to come home from school, and test out all of the features. I was impressed, there's all sorts of little touches, one of my reservations was the boys wouldn't 'get' them, or would break them easily. 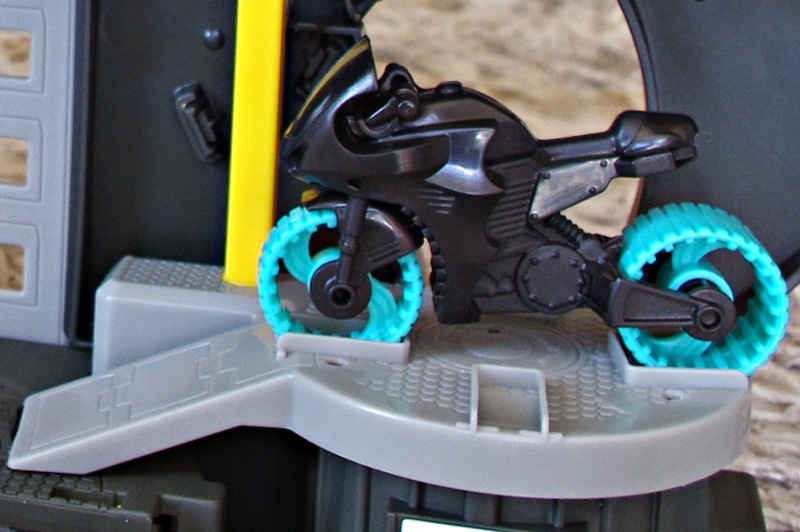 The Batcave comes with Batman and Robin, Batcycle, flight suit, and projectiles. And lots of moving parts, activation pads will open walkways, the flight suit, and doors. You can pop open to Batdesk, jail and front door as well as firing the projectiles. The verdict: all three of our children loved it (at aged 5, 3 and 3). It is big enough for all three to play together (it turned out our Playmobil figure liked to play at well), as there is quite a lot of activity that can be undertaken from the outside and inside the batcave. There is a lot of variety and, despite my reservations, the boys quickly got the hang of all the switches. The reservation that I did have was how easily it would break (my children break everything). And positively, compared to many other toys, the only part that has needed mummy's intervention is the platform for the projectiles. It did repair simply (like all of their Fireman Sam vehicles and doors) so it is a gripe more than a problem. Another point, from experience, is the 'requirement' for the children not to wonder off with the parts. So often the boys have wanted to take their figures to bed, or to nursery, and they go missing. We're now in the necessary action of parts needing to stay with together. Which has been touch. Batman and Robin are now much loved. It has kept interest. And what I really love, is that they play with the Batcave as individuals, pairs and a team. Few of our toys can a) meet this brief, and b) keep their interest. At an RRP of £39.99 it is slightly more than we would pay for one toy, however with group play and another advantage of associated toys, it can keep on being revitalised in a child's favour. Saying that, shop around, at the time of publishing, Argos are offering 25% off! 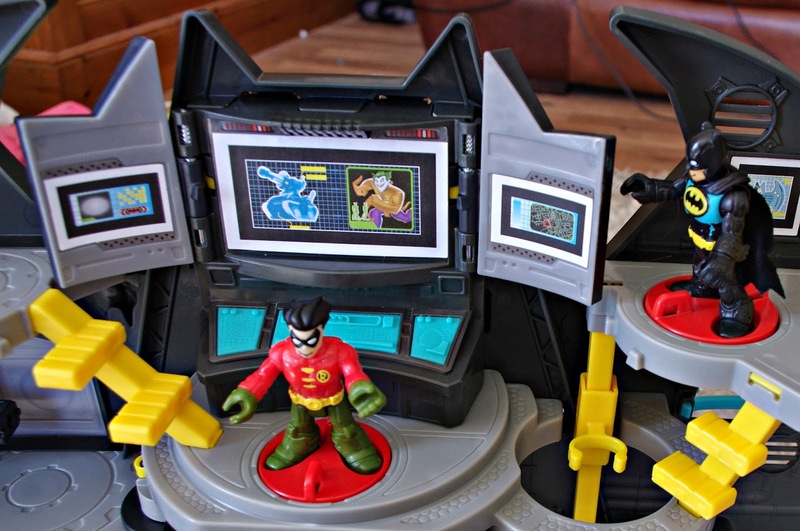 Disclosure: We received an Imaginext Batcave for the purposes of this review. All opinions and views contained are our own.